US wine and spirits company Brown-Forman has reappointed Eulogy to handle the PR for its liqueur brand Chambord following a competitive pitch. The account is understood to be worth £120,000 annually. At the end of last year PRWeek reported that Brown-Forman's UK business was talking to eight agencies with the help of Creativebrief. Eulogy previously worked with Chambord for three years from 2009 to 2012. 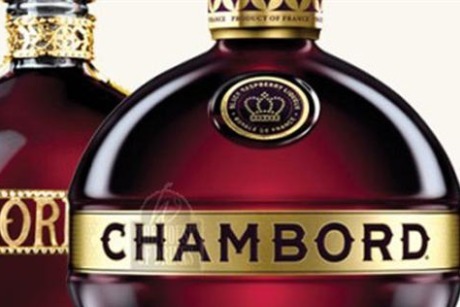 The agency will run PR campaigns throughout the summer that reflect Chambord’s creative marketing strategy, which targets 25- to 34-year-old female consumers. The work will also tie in with the brand's adverts, ‘Because No Reason’. Elisabeth Field, MD of Eulogy, said: "Eulogy has a great heritage in drinks. It’s going to be a great summer for Chambord and we’re really looking forward to working with it again." Charlotte Ashburner, area marketing manager at Brown-Forman, added: "Eulogy demonstrated a real understanding of our aims for Chambord and showcased creative ideas that we believe will increase consumer engagement and build on the excitement around our latest campaign." Brown-Forman has also briefed Eulogy to launch a dual-flavoured vodka brand, LBD, and support a summer party for Finlandia vodka.